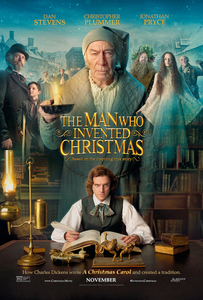 'The Man Who Invented Christmas' tells the magical journey that led to the creation of Ebenezer Scrooge (played by Christopher Plummer), Tiny Tim, and other classic characters from A Christmas Carol. Directed by Bharat Nalluri, the films shows how Charles Dickens mixed real life inspirations with his vivid imagination to conjure up unforgettable characters and a timeless tale, forever changing the holiday season into the celebration we know today. This film is rated PG-13, running time: 104 minutes. Registration is requested; drop-ins welcome. Register online at www.mahopaclibrary.org, or call 845-628-2009, ext 100.